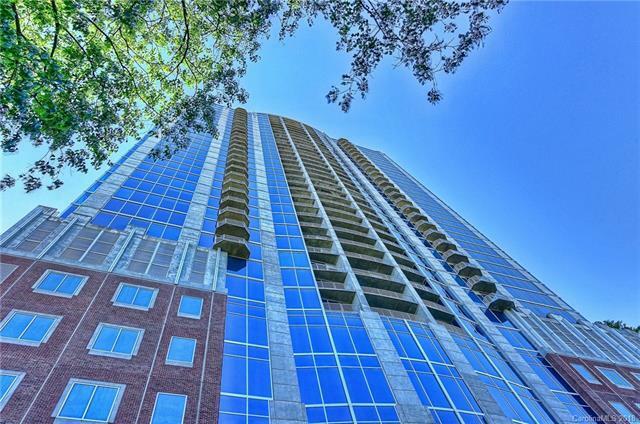 Beautiful 2 BR, 2 BA Condo offering expansive city views! Hardwoods throughout. Open floor plan with floor to ceiling windows. The contemporary kitchen offers granite counters, SS appliances, and bar seating. Two full baths are tiled with granite topped vanity. Master bath with large tub and the second bath with shower. Contemporary ceiling fans and additional cabinetry in secondary bath. The balcony is large enough for several chairs and table for relaxing and taking in the city views. Additional features of The Avenue include 24-hour concierge service, a recreational area with billiards, a movie lounge, outdoor patio with pool, grill, fireplace and TV. 2 full size parking spaces on P3. The building's 24-hour concierge service, recreational amenities, and best location of any condo uptown, make it a dream home! Offered by Center City Realty Inc. Copyright 2019 Carolina Multiple Listing Services. All rights reserved.